On Thursday 27th April 2017, the students of the Masters Cremades & Calvo Sotelo in Business, Telecommunications, Internet and Audiovisual law visited ESAC. 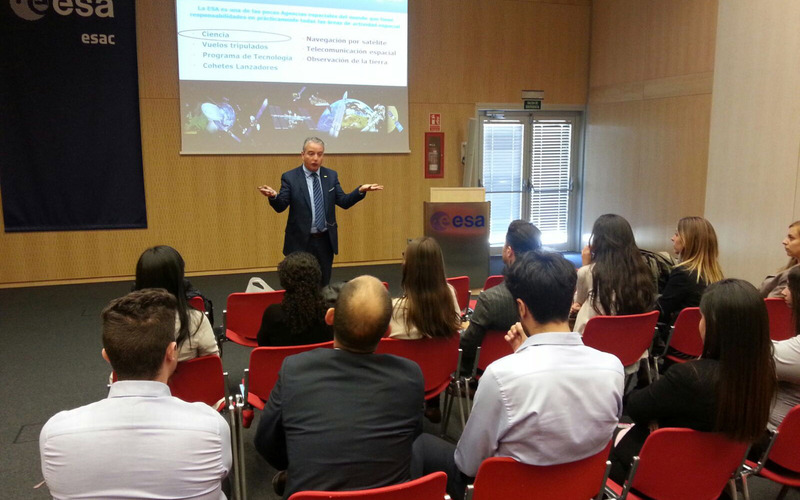 They were welcomed by Dr Javier Ventura-Traveset, from ESAC Director’s office, who provided to them a general presentation on ESA Programs, ESA Convention and the importance of the ESA applications and downstream services. 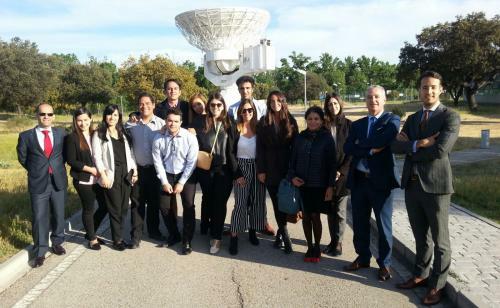 During the presentation the Master students discovered the many connections between space and law, and the importance of the lawyers contribution to the space sector. A detailed discussion was also held on the Galileo program and the multiple service opportunities that this new system will offer. After the talk, the Master students had a tour of ESAC facilities, with a special zoon on the SMOS and XMM Control rooms, accompanied by Dr Breitfellner (from CESAR Education program), Dr Ventura-Traveset and Jorge Fasute (SMOS program). 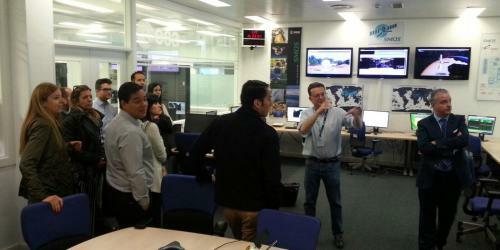 The Director of this Master, Guillermo Hidalgo expressed to the ESA representatives his very high satisfaction with this visit and his appreciation to ESA for the time devoted.